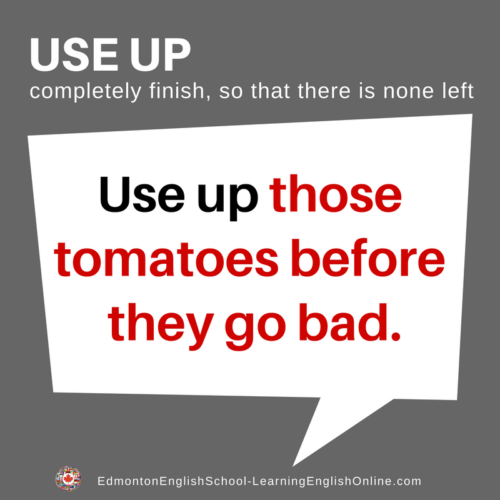 What is the meaning of USE UP? 1. I can’t find any more butter. Did you use it all up? 2. Why don’t you use up some of your leftover wool and knit a scarf?